For those that are interested in checking out some stunning sculptures, paintings and more, Bridgeport Art Center is definitely a must-visit destination. Beyond the gorgeous art that adorns the walls, there is also an excellent space available to both create, and host events. The creative space includes: art studios, a fashion design center, office spaces and a ceramic center. This makes Bridgeport Art Center an excellent place to not just view art, but also create it! If you are looking to host an exciting event in a truly unique space, Bridgeport Art Center is a wonderful option. 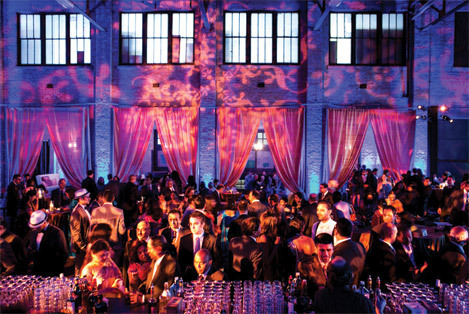 The Bridgeport Art Center can be rented out for corporate events, weddings and any other special occasion. The various spaces offer hardwood flooring, exposed brick, brilliant lighting and more. Whether you are looking to check out art, create art or plan a wedding, Bridgeport Art Center is the place for you.